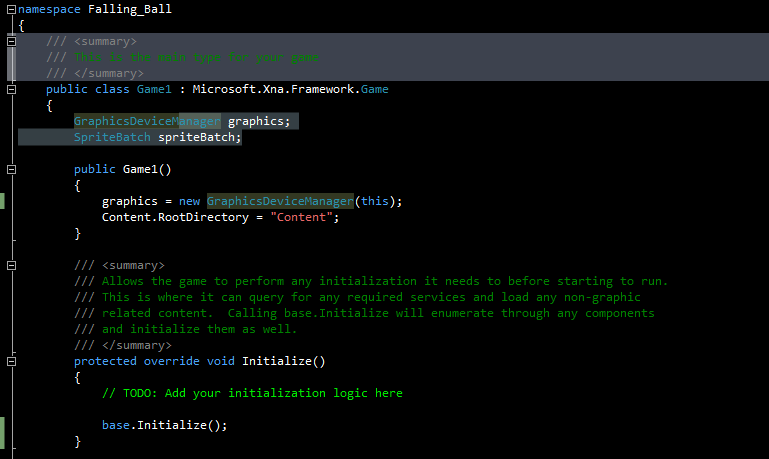 Now that Visual Studio 2010 is out, you obviously need a dark background for it. The problem with other dark backgrounds out there is that they change too much - for me, if comments aren't green the universe pretty much collapses. So here is a 9KB settings file which will simply change the background of your text editor to black, keeping keywords blue and comments green. Certain other elements' colors were changed to match. Enjoy, and leave a comment if you found it useful.